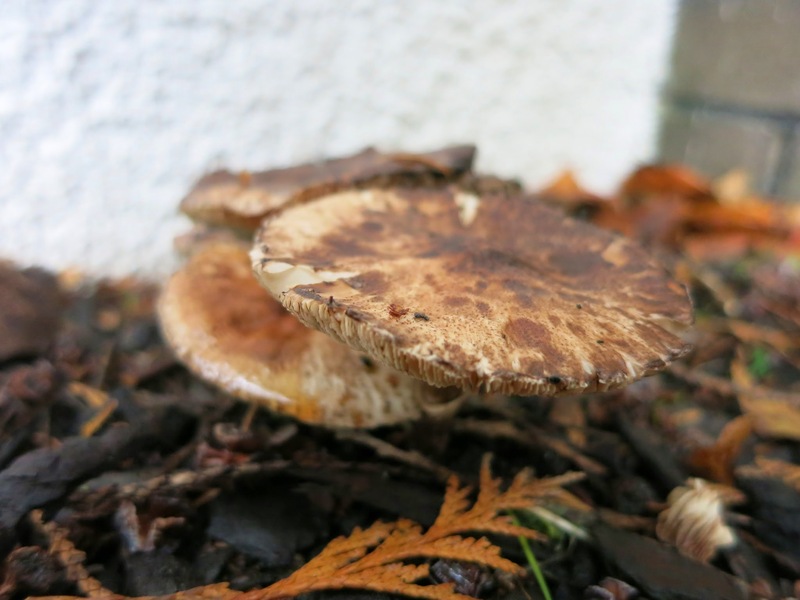 Leucoagaricus croceovelutinus, also known as the Blushing Dapperling, is rare saprobic fungus found on decaying leaf litter, often with conifers . This particular collection was made under mature Chamaecyparis lawsoniana trees within the Royal Botanic Garden, Edinburgh. 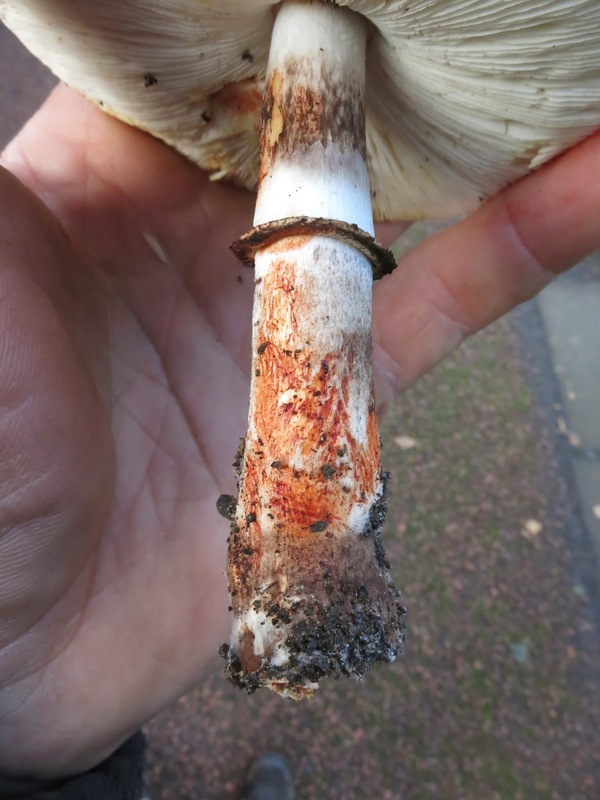 This is a first Scottish record for the fungus- which is also rare elsewhere in Britain. 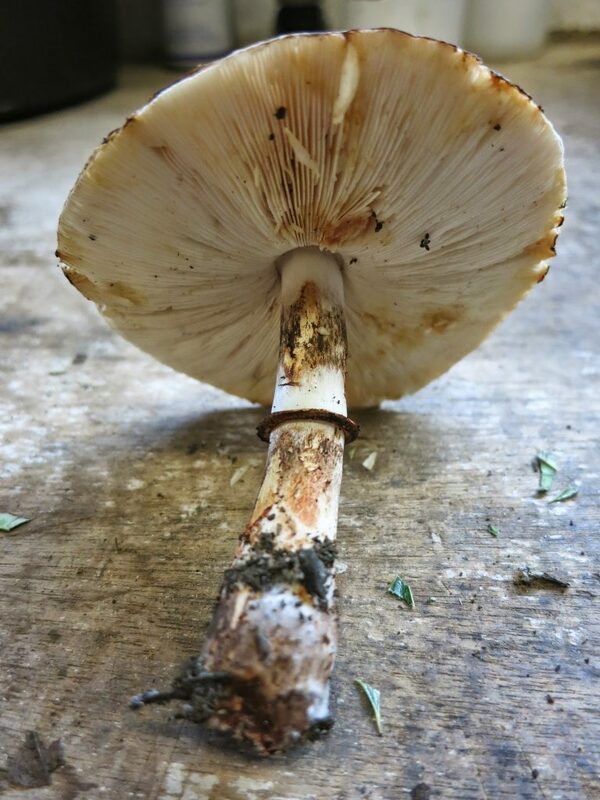 Leucoagaricus mushrooms look superficially like a cross between Lepiota (Parasol) and Agaricus mushrooms. All three are in fact very closely related, as members of the Agaricaceae family. 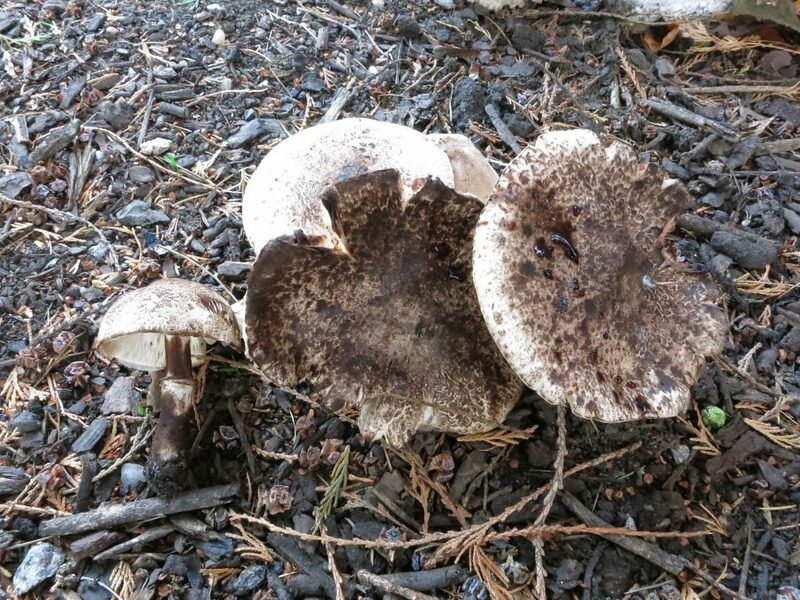 The genus name Leucoagaricus means “white Agaricus”, referring to the white spores (Agaricus mushrooms have chocolate brown spores). 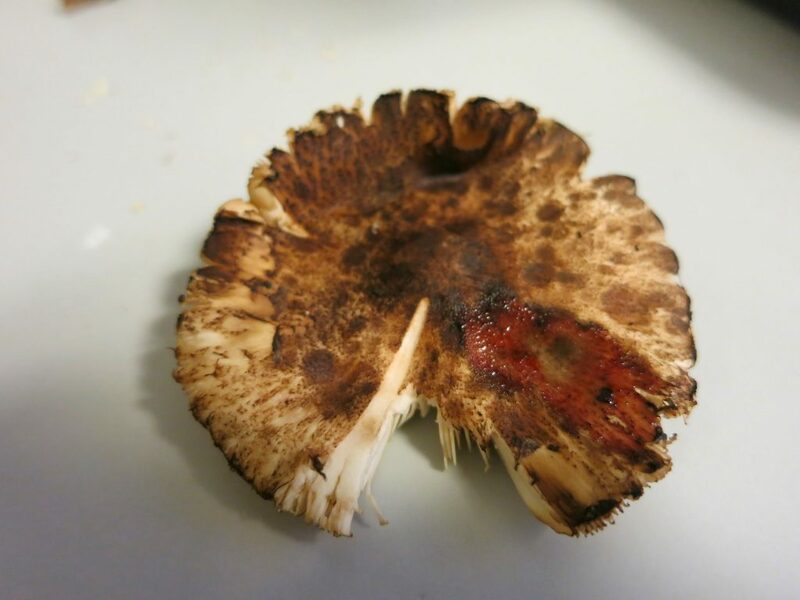 This particular species is easily recognised by its bright orange-red discoloration upon cutting or handling- which may leave a reddish residue on the fingers. These discoloured areas later darken to brown or almost black. Examination of macro features of this mushroom led to two possible determinations within the Leucoagaricus genus- L.badhamii and L.croceovelutinus. 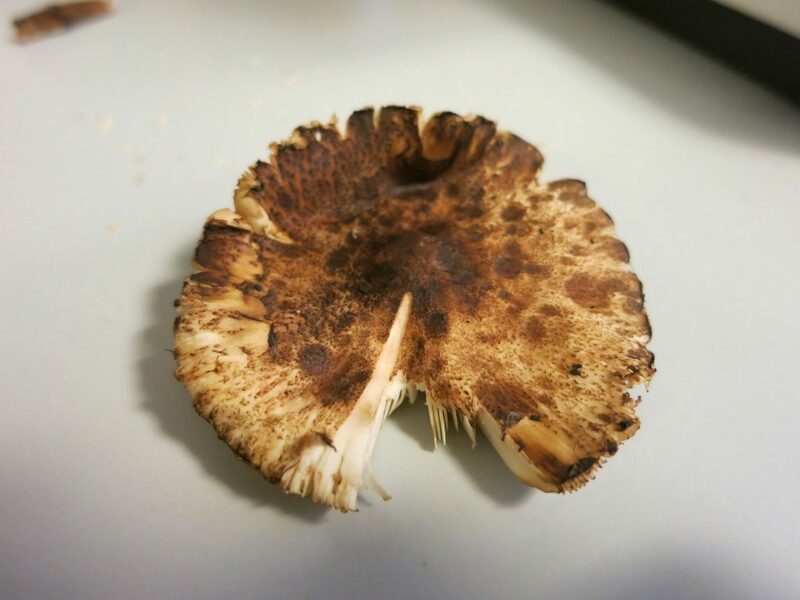 Following a chemical test on the cap cells using a 10% potassium hydroxide solution (KOH), the species was determined as L.croceovelutinus. A specimen and accompanying field notes have now been stored in the herbarium for future reference.